For the last four years, Christine Loeffler has been raising chickens, ducks, geese and turkeys on her farm in Grants, NM. 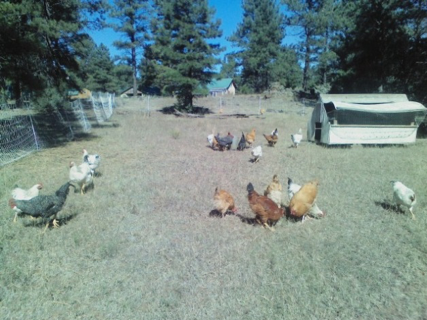 The 10-acre farm is situated in ponderosa pine forest, allowing plenty of room for her flock to forage. On the farm, Christine raises a wide range of heritage breeds including Rhode Island Reds, Barred Rocks, White Rocks, Delawares, Buff Orpingtons, Black Australorps and New Hampshires. Loeffler Farms is an Animal Welfare Approved production and her produce is certified organic as well. For Christine, applying for these high-welfare certifications was an easy choice. 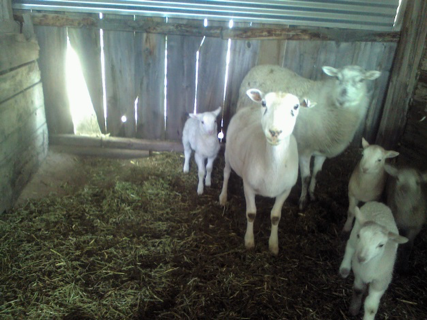 “That’s how I planned to raise my animals anyway, so why not get the added publicity and benefits of certification,” she explained. The Animal Welfare Approved certification and Organic label, allow Christine to effectively communicate to her customers the sustainable and humane practices utilized on the farm and assure consumers that they are receiving a high-quality product. Christine has built her customer base primarily through word of mouth, with the occasional Friday evening advertisement on KKOB in Albuquerque. Loeffler Farms’ products can be purchased year-round at the El Morro Feed and Seed, the El Morro Market, the Halona Marketplace, the Candy Kitchen Trading Post and at her husband’s store, Loeffler’s Guns Etc. Loeffler Farms’ meats can also be purchased seasonally at the Ramah Farmers’ Market and the Grants Farmers’ Market or ordered over the phone and delivered directly to customers in Albuquerque twice a month. 825 W Santa Fe Ave.